These double-ended ball studs by Adorne are the ultimate complement to any evening look. 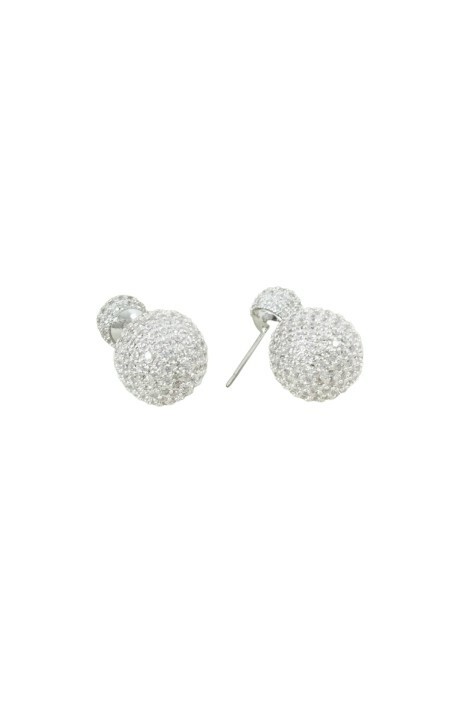 Encrusted with round glass crystals, these earrings glisten beautifully under light. Amp up your sequin ensemble or add a pop of sparkle to your look. Classic yet a true statement, we are loving this pair! Hire these earrings with a statement bracelet and an up-do to bring attention to them. Rent with a gorgeous floral dress, a metallic mini, or a sophisticated jumpsuit for an edge of style for an upcoming cocktail party!